Little Gift Cards | Pink Petticoat: Simple ideas and inspiration using Pink Petticoat Digitals. For Card Makers. 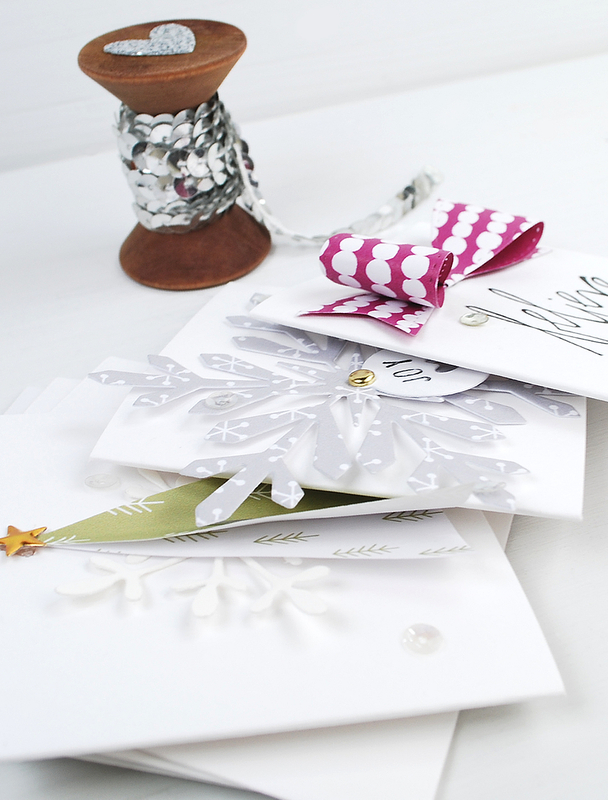 Gift Cards & Envelopes: 3" x 3" by Papermania. 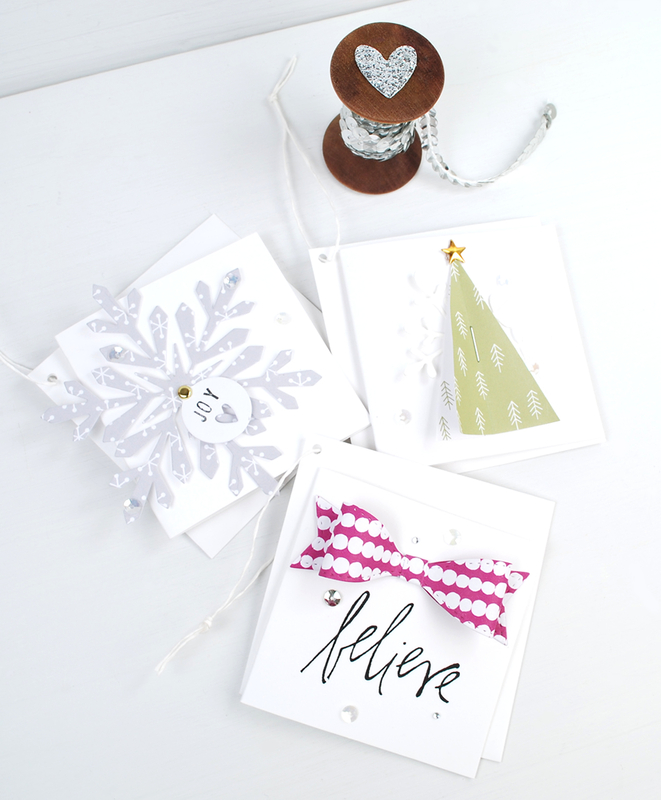 Patterned Papers: Simple Spruce, Snow Noel, & Baubles. From The Colour Collection. Large Snowflake Die: Hero Arts. Small Snowflake Punch: Martha Stewart. 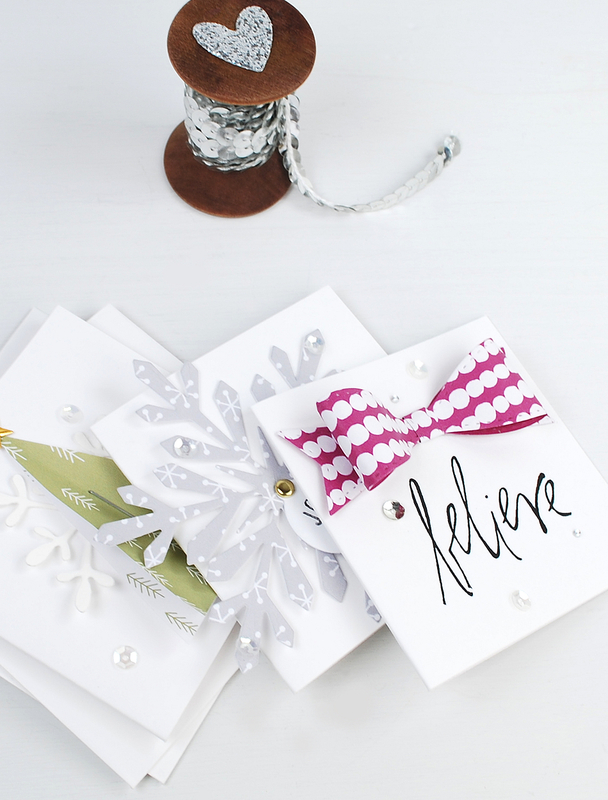 Small Bow Die: Lil' Inkers. Small Gold Star, Sequins & Crystals.